Becoming a dentist has been a childhood dream come true. I love my profession! As an 11 year-old who liked science, I received a “Dr. Drill-n-Fill” Play-Doh set and declared “I want to be a dentist!” At age 15, I got a job working in a dental office and loved it. By 16, I was a fully trained dental assistant and continued working as an assistant until I graduated from dental school! As a dentist, I’m able to help people take care of their teeth and smiles, to alleviate pain for those with a toothache, and restore the ability to comfortably chew, too. Each interaction with each patient is an opportunity to change and improve that person’s life. I enjoy partnering with my patients to achieve the best oral health possible. Our relationships go beyond healthcare provider and patient: we become friends and I treasure those bonds. I believe working with so many unique people every day helps me appreciate the beauty of life. My patients help me become a better person, broadening my world and experiences. I appreciate their different life stories and how they share their experiences with me. 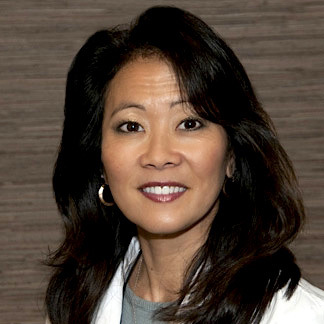 Dr. Ma and our team members are talented, compassionate, good people. Each truly cares about our patients on a personal level and is dedicated to providing the best care and best experience. Together, we respect and honor each patient’s needs and personality, working with them to achieve a beautifully healthy, happy smile. We do our very best to make our patients feel loved and appreciated. We hope this brings a bit of joy to each patient’s life. My Doctorate of Dental Surgery was awarded by the University of Washington Dental School in 1986. My passion for learning about dental care continues to this day. I’m proud to be a life-long learner and am dedicated to staying current on developments in oral healthcare. Since receiving my doctorate, I’ve pursued continuing education. I attend multiple dental conventions, locally, regionally, and nationally. I’m also an active member of many study groups, including the Harry Albers Esthetic Study Club, Robert Johnson UW Dental Study Club, and the Eastside Women Dentists Study Club. I’ve also completed numerous advanced courses through the Frank Spear Education Classes, CRA Gordon Christensen Education Classes and Publications, and University of Washington Continuing Dental Education classes. I was born and raised right here in the greater Seattle area and can’t imagine living anywhere else! I have two adult children: Rachel, my daughter, is a medical student at the University of Washington. Adam, my son, is a graduate of Seattle Pacific University with a degree in Physiology. He’s pursuing an acting career. When not caring for patients, I enjoy time with my family and friends, serving God and those in need, and outdoor activities and travel. I’m passionate about living life to the fullest and helping others to do the same, to the best of my abilities. I’m a children’s teacher with the Sammamish Community Bible Study, a Member and Mission Team co-leader for Blaine Memorial United Methodist Church, and a Dental Volunteer for Great Shape, Inc. I feel fortunate to participate in these wonderful organizations. I’ve benefited so much more than I could have ever imagined. Hopefully I’ve helped the organizations to help others.